Hey its balendor!! your admin!! about mods!! and everything!!! balendor can usually do alot!! darked possibly but he is usually busy but can usually do it!! also if you can get people to join!! that gives u more of a chance to become a supporter!!! also i am thinking of new ranks!!! so yah i am going ot do alot of now!! and make this site awesome!! so get those other people!!! so we can become an awesome site!! get your friends parents!! even your mothers!!! lol do the best u can the faster u get more people the faster we can get more trades and more membership pins!! since we have no one!!! Cross of Tweetydog3....He's got mod now!! Made him one since we lost one of our staff members. 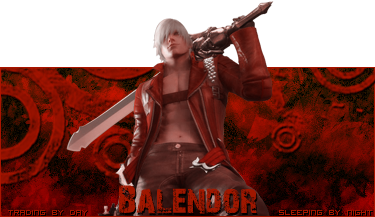 Subject: Re: Hey its balendor!! your admin!! about mods!! and everything!! !